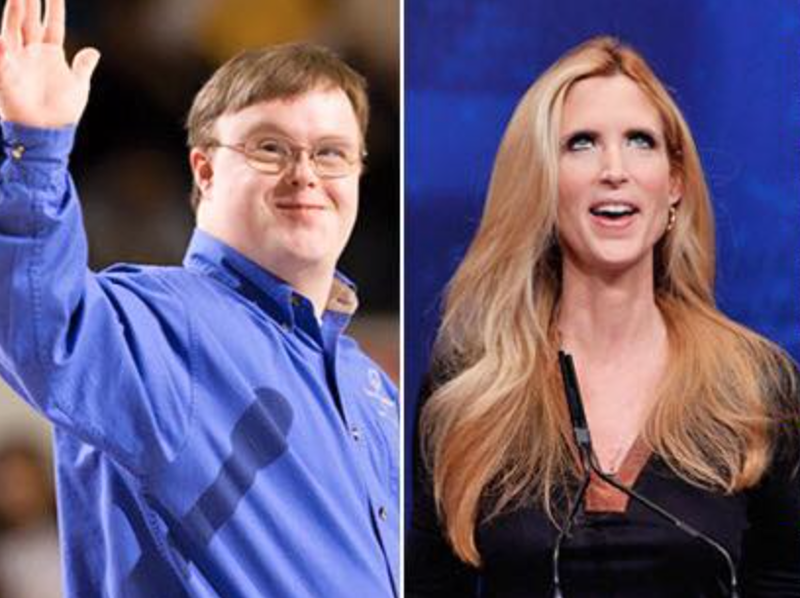 Dear Ann Coulter, Come on Ms. Coulter, you aren’t dumb and you aren’t shallow. So why are you continually using a word like the R-word as an insult? I’m a 30-year-old man with Down syndrome who has struggled with the public’s perception that an intellectual disability means that I am dumb and shallow. I am not either of those things, but I do process information more slowly than the rest of you. In fact it has taken me all day to figure out how to respond to your use of the R-word last night. I thought first of asking whether you meant to describe the President as someone who was bullied as a child by people like you, but rose above it to find a way to succeed in life as many of my fellow Special Olympians have. Then I wondered if you meant to describe him as someone who has to struggle to be thoughtful about everything he says, as everyone else races from one snarky sound bite to the next. Finally, I wondered if you meant to degrade him as someone who is likely to receive bad health care, live in low grade housing with very little income and still manages to see life as a wonderful gift. Because, Ms. Coulter, that is who we are – and much, much more. After I saw your tweet, I realized you just wanted to belittle the President by linking him to people like me. You assumed that people would understand and accept that being linked to someone like me is an insult and you assumed you could get away with it and still appear on TV. I have to wonder if you considered other hateful words but recoiled from the backlash. Well, Ms. Coulter, you, and society, need to learn that being compared to people like me should be considered a badge of honor. No one overcomes more than we do and still loves life so much. Come join us someday at Special Olympics. See if you can walk away with your heart unchanged.